KPLU, which broadcasts my weekly weather segment, is having their annual pledge drive. Please help them here if you can. Unlike the other Seattle public radio station, KPLU has short pledge drives and doesn't run million dollar surpluses! 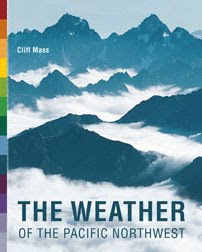 The main tool used by meteorologists to predict the nature of the weather months ahead is the correlation of the temperature of the tropical Pacific ocean surface and the atmospheric circulation around the globe. To put it another way, meteorologists use the correlation of the El Nino and La Nina cycle (called ENSO-El Nino Southern Oscillation in the business) with midlatititude weather. This correlation is not perfect, but it is the most potent tool we have for predicting a few months ahead. 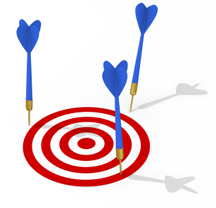 As with any good tool, you need to know how to use it, as well as its limitations. One key rule is: don't make your winter predictions too early! A lot of research, including that of UW's Todd Mitchell, have shown that one really needs to wait until very late summer to have real skill for predicting the character of the upcoming winter. Thus, I like to wait until late September: by this time we can have high confidence that we have a handle on the general nature of El Nino/La Nina for the winter months. So I feel comfortable giving you a prediction at this point. A second thing to keep in mind is that this tool is imperfect, explaining perhaps a third to a half of the winter variability. OK, enough caveats and warnings. 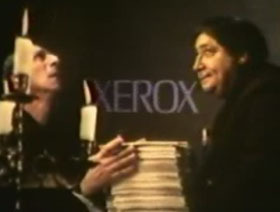 Let me give you the story! For the last two years we have been in a La Nina situation (colder than normal central and eastern tropical Pacific sea surface temperatures), which is generally associated with greater mountain snowpack, colder temperatures, and increased chances of lowland snow, particularly after Jan 1. And generally it delivered---Cascade snowpacks have been high and our last two springs were dismally cool and wet. 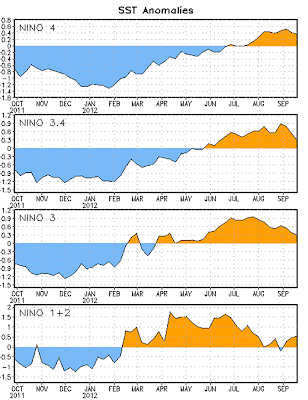 But this year La Nina has collapsed and the tropical Pacific has warmed, leading to a weak El Nino. 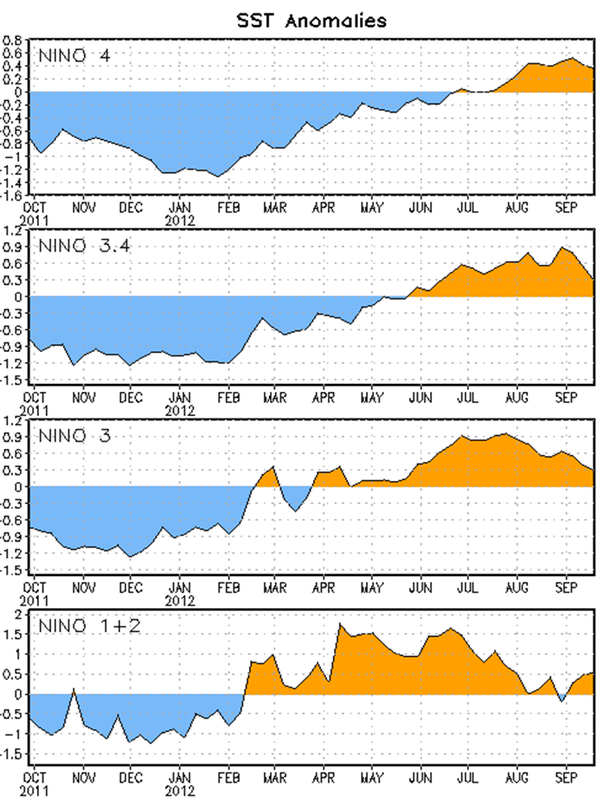 This graph shows the sea surface temperature anomalies (differences from climatology, blue colder than normal, orange is warmer) for several tropical Pacific regions (the Nino 3.4 region is the most used) since October 2011. We have a pretty wimpy El Nino at this point (anomalies only about .5C) and lately it has weakened substantially. At this point in time, we would expect this winter to be an El Nino one, simply on the basis of persistence---since it takes a while for the ocean temperatures to shift. But we have more sophisticated tools. First, there are a series of models--some statistical, some simulating the ocean/atmosphere system--that provide a forecast of what is happening over the tropical Pacific. Here is a nice collection that I accessed on the NOAA Climate Prediction Center website. 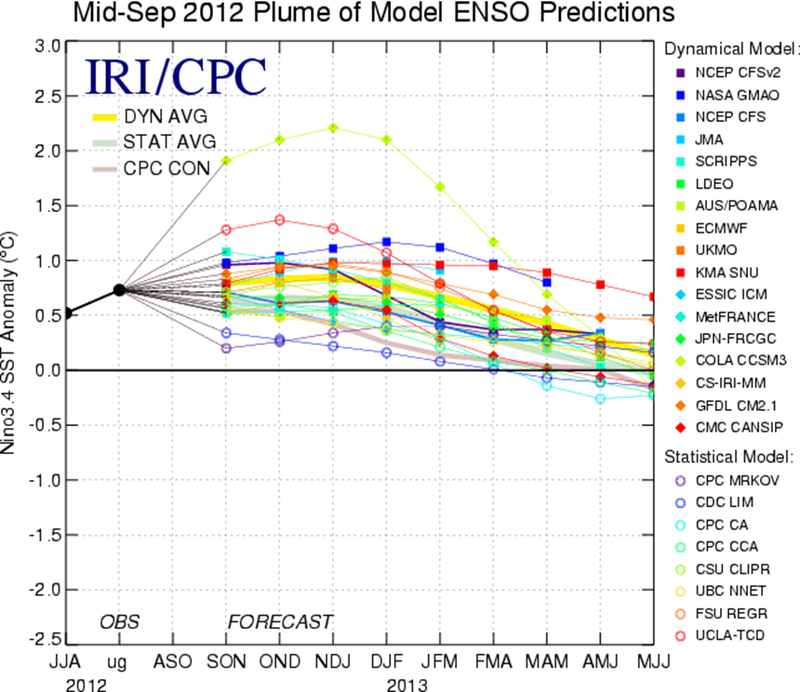 Most of the models suggest a slight warming (increase in El Nino) this fall, followed by a slow weakening. The definition of El Nino requires that the warm anomaly be at least .5C and we are just over that now and slide below it next Spring. If the anomaly is between plus or minor .5C of normal then we are in a neutral or "La Nada" year. The National Weather Service also runs their global coupled atmosphere/ocean model (the CFS) out many months. Here is what it is showing. 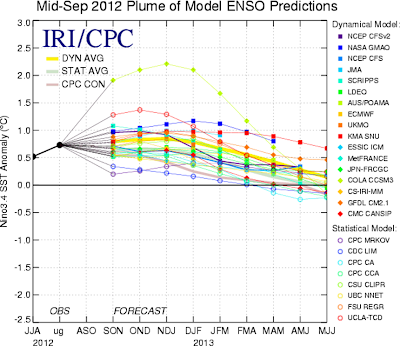 Same wimpy, marginal El Nino, and on the verge of being a La Nada year. But this El Nino/ENSO stuff is interesting perhaps, but what you REALLY want to know is what we expect for the upcoming winter, right? First, the bottom line. El Nino years tend to produce Northwest winters that are warmer than normal, drier than normal, with less than normal mountain snowpack and a lower probability of lowland snow. They tend to be less stormy here, with more of the action going into California. The greatest impacts are generally after January and the strength of the effect is dependent on the warmth of the tropical Pacific. The following graphics illustrate the impact across the U.S. of El Nino's during January though March. The first shows preciptation--a really modest decline over the NW and an increase over the southwest U.S.
For temperature, warming over the northern tier of states. The issue, of course, is that this is looks like a very weak El Nino at this point and the impacts will be thus attenuated. The result: less signal and thus less forecasting skill. We could easily be a near neutral situation (La Nada) the end of the winter, and those can be interesting periods, since the biggest of the big events (floods, windstorms, even snowstorms) tend to occur in neutral years. So keep your eyes on the tropical Pacific temperatures--perhaps our models will be wrong. Finally, the Climate Prediction Center takes this information and combines it with other guidance (decadal trends, impacts of large scale surface characteristics, etc) and comes up with a long-period prediction. Here is their forecast for January to March for precipitation and then temperature. They are going for a drier than normal winter after January 1, but keep the warmth east of the NW. 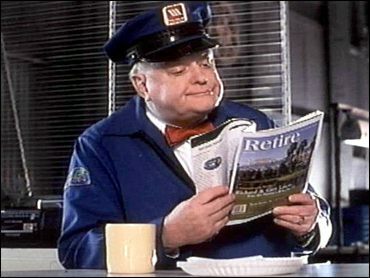 This is the kind of period that makes local meteorologists feel a bit like the famed Maytag repairman---ready to go, but little to worry about. Western Washington has had virtually no precipitation during the past two months, less than a tenth of an inch in total, with dry conditions extending east of the Cascades as well. During the past few days, temperatures have been near normal as a persistent influx of marine air kept the high temperatures around 70F. But the sun is weakening and nighttime is getting longer, and the impacts on temperature are being seen. Nighttime has lengthened from 8 to 12 hours since June. Nighttime temperatures are now dropping consistently into the 40s over much of the region (particularly away from the water and where they are less clouds) and some cool locations, particularly in mountain valleys or east of the Cascades in low spots, are heading down into the 20s. Frost has returned to the Northwest! Note that some ridge-top locations are still staying in the 50s. Let me illustrate. Here are the minimum temperatures last evening (as of 6 AM). Dark greens (40s), light greens (50s), aquamarine (30s), light blue (20s). Will rain return? Not in the near future. The latest forecast models suggest a very weak frontal passage, mainly north of Washington, on Friday...perhaps a sprinkle along the coast and over southern B.C. But then ANOTHER major ridge builds over the region. Great weekend and the early portion of next week. Take a look at the upper-level forecast for next Tuesday at 5 PM. The coloring shows the anomaly (difference from normal) at this level (500 hPa--around 18,000 ft). Major positive anomaly (this means ridging) just off our coast. Folks...this is a dry pattern for us. Looking at the North American ensemble forecast for Seattle shows the story over the next few weeks. 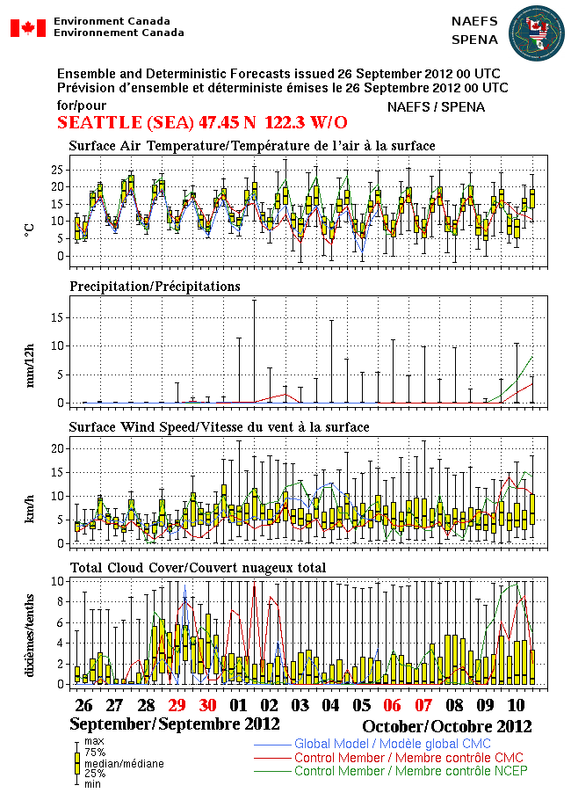 The second panel shows precipitation and the bars indicate the range of the ensembles (running of many forecasts). Although a few ensembles suggest some very light rain, the overwhelming majority are dry. This suggests little if any rain through the first week of October. Ideal weather for taking that fall hike in the mountains. As many of you know, my dog Leah was lost by a Seattle pet nanny almost exactly a year ago. I asked the help of readers of this blog, and the response was extraordinary. 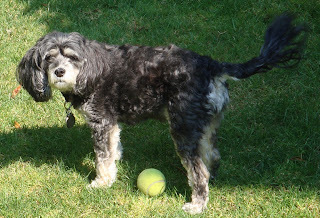 I cannot thank all of you enough...those who emailed me, offered tips, noted sightings of similar dogs. I believe we came to close to finding her, with many reports around Mountlake Terrace (she was lost in NW Seattle). Unfortunately, we have never found her. Either she was unable to survive on her own or someone took her in and decided to keep her. I hope it is the later. 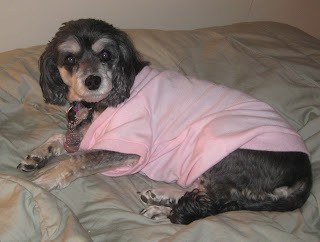 So if you do see a dog very much like her, please let me know. She is microchipped. This situation has taught me a lot, including about the dedication of animal lovers of the area. MissingPetPartnership was particularly helpful and deserving of your support, including volunteers that were willing to wave signs at intersections during cold weather. It also has shown me that we need better ways for coordinating information about lost pets in the region, and as I mentioned in an earlier blog, smartphone apps whereby folks could take a picture of lost animals and get it to folks who could use the information effectively. 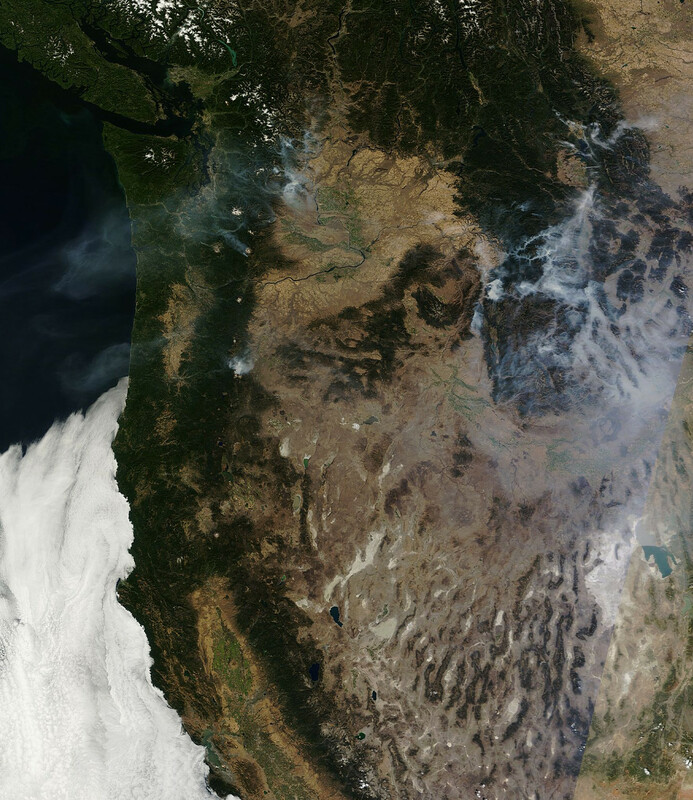 Wildfire and Air Quality and When is a Drought NOT a Drought? 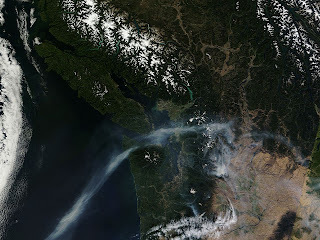 Lets begin with an amazing MODIS satellite image showing the extensive smoke over eastern WA yesterday. The densest smoke is being produced by the fires near Wenatchee, but you can see another fire south of Mount Rainier--which is spreading NW over the southern Sound. 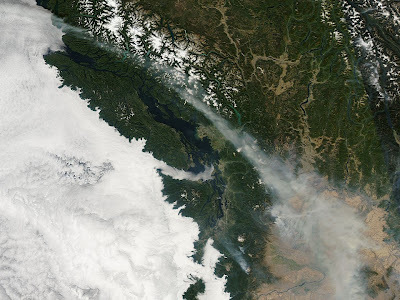 Most of the eastern Washington smoke was spreading for northwestward into BC. At the same time, the eastern Pacific is full of low clouds, with some of it pushing into the Strait and southwest Washington. The smoke in eastern Washington is producing extraordinarily bad air quality near Wenatchee and Cashmere. Let illustrate by showing you a measure of particulates (PM2.5) in the air at Wenatchee (red line) and Seattle (blue line). Seattle stays relatively low, but you can see the impact of the Wenatchee fires, with huge peaks, some exceeding 500 micrograms per cubic meter. That is really high. We have been very dry the last two months, but are we in a drought? 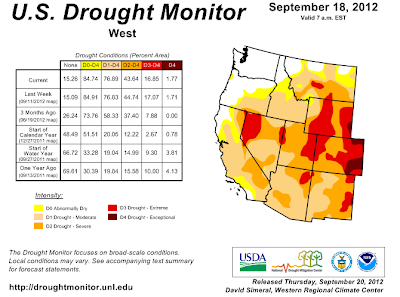 The NOAA Drought Index says NO! (see below)....and they are correct (who am I to doubt the U.S. government?). Yes, we are breaking all kinds of records for lack of rain in August and September, and consecutive days of rain, but quite frankly, even in a normal year we don't get that much in these months and lack of rain has little impact, particularly since our rain over the past year, and the snowpack starting the summer was normal, or even a bit above normal. Lets illustrate. Here is a plot of the cumulative precipitation over the past 12 weeks (blue is normal, red is observed) at Sea Tac. You can see how the observed (red) precipitation is flat lined, while normal precipitation is increasing rapidly. Over the past 12 weeks we should have had 3 inches, but only had about 1 inch--thus about 2 inches below normal. Considering Seattle normally receives about 38 inches a year, this is no big deal, and could be made up quickly when storms return. But what about the same plot over the past year? Take a look! We end up with almost exactly normal precipitation, in fact a bit over because of the wet spring we had. Obviously, the surface conditions are dry and the wildfires are a problem, but our precipitation situation over the past year and the subsurface moisture situation is fine. We are not Texas...and you can all be happy about that. This dry spell continues to deepen and lengthen. Keep in mind a period of no rain in mid to late September is far more unusual that in late July and August. August was the driest on record in Seattle. September has had two days of .01 inches, so unfortunately we are already wetter than the previous record-breaker (a trace). We came close (47 days) to the all-time record stretch of less than measurable rainfall (.01 inch), which is 51 days. But what is SO special about .01 inches? What if we picked the longest stretch at Sea-Tac Airport of daily precipitation less than .02 inches? What year would be the winner? Yes, it is true, yesterday we tied and TODAY we achieved the record long stretch of such dry days: 58 consecutive days less than 0.02 inches. For those weather-number lovers in the blogosphere, here is a graphic (produced two days ago) that shows you the record stretches of dry weather for various thresholds (thanks to Neal Johnson of the UW for collecting this information. The latest forecast models indicated no rain over the next week, but a minority of the forecast models show the potential for rain later next week....but that is too far into the future to have much confidence it. No More Siberian Smoke! But we got enough of our own! There is lots of smoke over the Northwest these days from regional fires, as shown by the MODIS imagery below. And as I have mentioned in a previous blog, we see the unusual movement of smoke from fires over eastern WA to the west side. Dense smoke is found over the eastern slopes of the Cascades and in the valleys of Idaho. However,....something profound has changed....we are no longer seeing the smoke come over from Asia. One big reason: many of the Siberian fires have been damped out by the return of cool, wetter conditions. Here are the fire maps from the MODIS satellite for late June/early July and last week...a clear decline. Lots of smoke over the equatorial regions of South American and Africa...the reason? Lot of fires there! 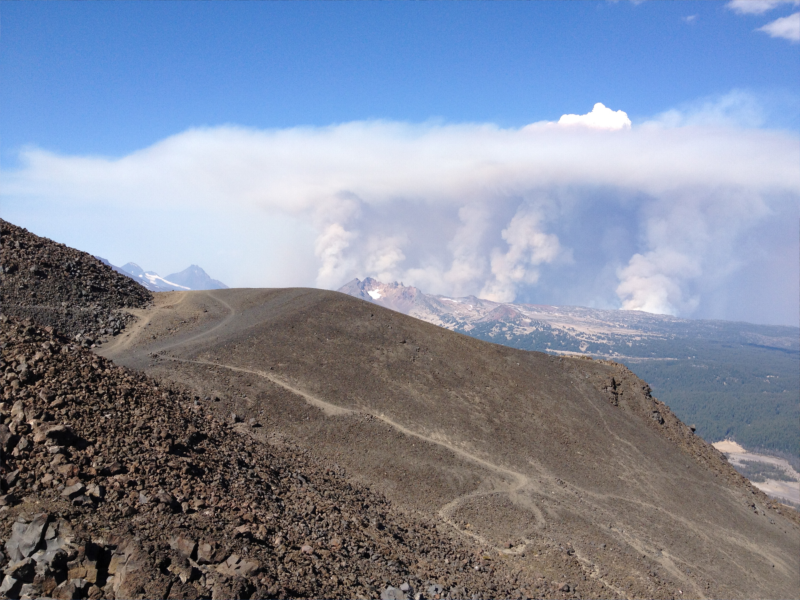 Can smoke from fires cause cooling? 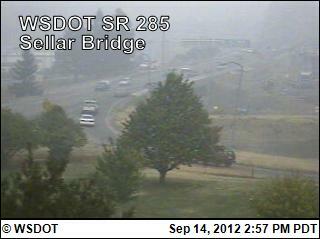 and take a look at a cam in Wenatchee. Pretty hazy. At 2 PM the temperature at Wenatchee (abbreviation KEAT) was 71. Lets check the temps in its neighborhood using a surface weather map(temps are in red to the upper right of the circles). Most stations have temps that are much warmer, including all the stations at similar or lower elevation. But I have a better way to prove the cooling effect....the same way we proved the cooling effect of the 1981 Mt. 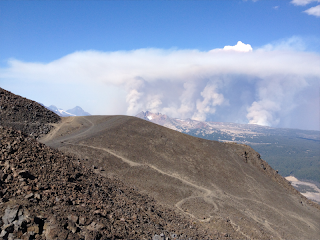 Saint Helens ash plume--look at the difference between the forecast and actual temperature. The forecast from the National Weather Service MOS forecasting system (which is very good, but doesn't consider local fires) is shown below, with the actual temps as well, for three times: 11 AM, 2 PM, and 5 PM). This is a huge error, particularly consider the boring and easily forecast situation we are in now. What about Yakima, which had only a bit of thin smoke? Almost a perfect forecast! No cooling there. 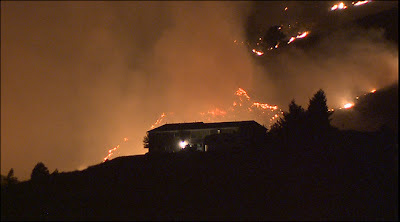 So something is causing the big cool error in Wenatchee, and I am pretty sure the smoke is too blame. Why does dense smoke cause cooling during the day? By preventing some of the solar radiation from reaching the surface. Peak solar radiation in Seattle reached 684 watts per meter while in Wenatchee the peak was only 391. 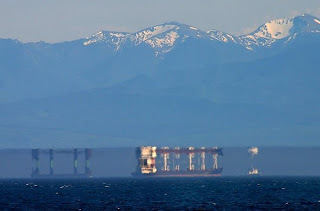 Superior mirages are most frequent during our summers near one of the water bodies (Puget Sound, the Straits of Georgia/Juan de Fuca, the Pacific) for a good reason: they are dependent on the existence of a large temperatures differences (increases) above the surface. In this case with cold water near the surface chilling the surface air, and much warmer air above, resulting in a strong inversion. Friday (Sept. 07) was an excellent day to look for such mirages, with the Sound being around 50F, while 80-90F air was over land and moving over the water, particularly near the coast. Cold air near the surface is more dense that the warmer air above, and the change in densities create a lens-like effect in the atmosphere that produces the mirage (see schematic below). My weather book has a long section on how this works. 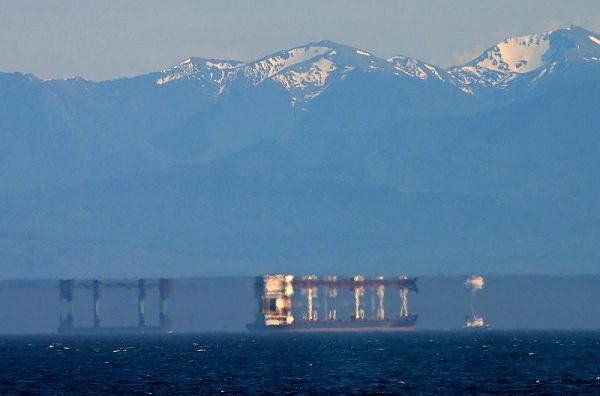 His location, on the water along the north side of the Kitsap Peninsula, affords a unique view mirages that provides something that ones rarely sees: video animations of the development of superior mirages during the day that allow one to appreciate the temporal variation in such optical effects. And with Greg's permission, I will show you some examples in this blog. Take a look at a video (showing only every 4th frame that was recorded) from Greg's home at Hansville across the Sound towards Whidbey Island and it Bush Point (see map, Lighthouse is at Bush Pt). The video starts in the morning when the air over land is relatively cool, but watch what happens as temperatures warm up aloft and the temperatures above the ground increase. If you have motion sickness, beware! The imagery is going to heave and distort in time. 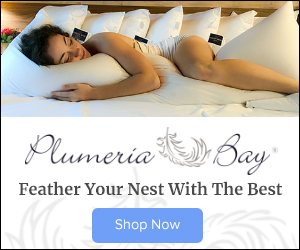 Click on the image or use the link to see the video. At first things seem normal, but then the water seems to rise over Bush Point, the buildings grow into towers, and if you look closely you will see major changes in the terrain far to the north. If you would like to see the full resolution video, with every frame shown, go here. 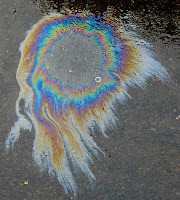 The effects get larger during the day as the air warms and tend to lessen during the evening. Here a few still samples of impressive mirage features from that day. Over a few minutes, the changes can be substantial, here are two pictures take 6 minutes apart (7:50 and 7:56 PM). The changes in the atmospheric structure resulted in significant vairiationin the atmospheric lensing....look at the mountains...they look REALLY different. Here is a wonderful example of the superior mirage effect, with the buildings and features along the coast rising into huge towers. Greg Johnson is making a major contribution to our understanding of local weather, and one hopes his observations will continue for a long time! The rain returned. And yes, it was more than a trace. But JUST over a trace....the total so far is .01 inch....we came SO close to a miracle. Thus, our streak of 48 days of dry conditions at Sea-Tac have ended and we will not attain the magic 51 day record set in 1951. Here is the record at Sea-Tac (01 indicates the hundredth of an inch--time is in UTC or Greenwich Mean Time). Turns out the measurable rain occurred just before midnight. To show you how close it came, here is the total precipitation as of 6 AM around the area for Seattle Rainwatch. 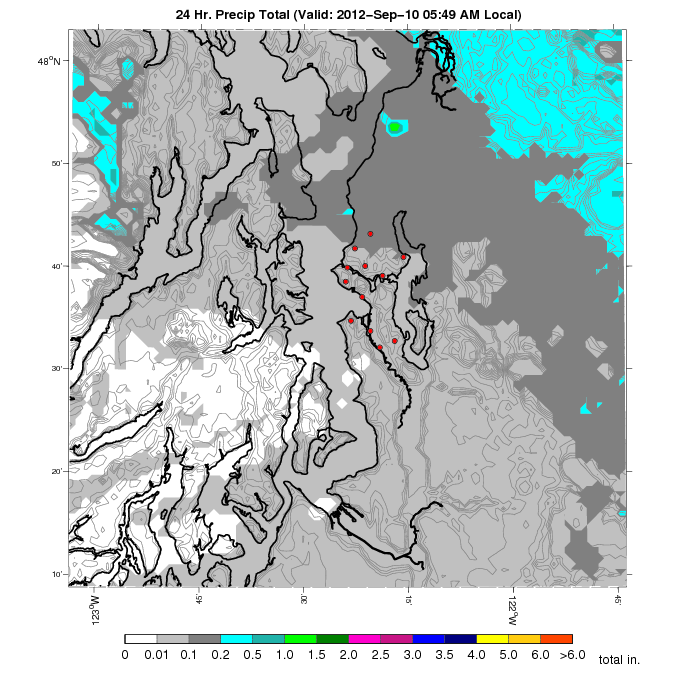 Zero precipitation (white) was so close...just across the Sound and even a few dry spots near the airport! Some locations in the foothills got some decent rain out of this event. This is like losing a high-scoring basketball or football game by only 1 point....really frustrating! There is a significant chance this will be the only rain Sea-Tac gets out of the frontal passage. There is more precipitation over the downtown and northern sections of the city, and northern Puget Sound, due to a Puget Sound convergence zone that is now going on. The lack of precipitation is due to rain shadowing in the lee of the Olympics...something the high-resolution models forecast quite well. 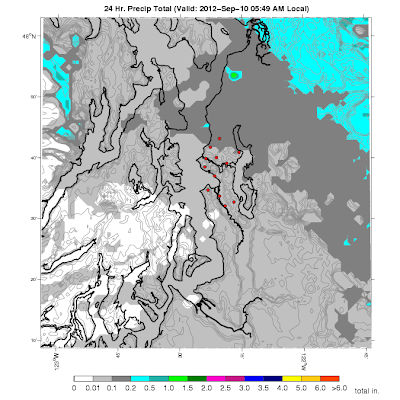 Here is yesterday's high-resolution run from the UW (24h rainfall ending 5 AM)....the rainshadow is quite obvious, as is the convergence zone band extending over north Seattle and the heavy precipitation over the western slopes of the Cascades. 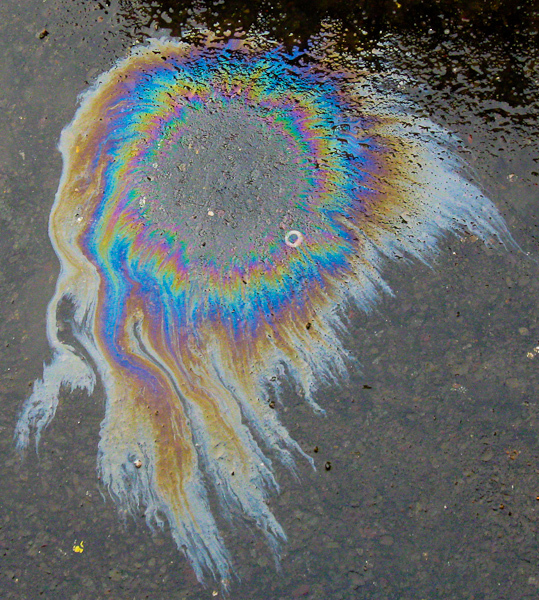 And finally, remember that the roads may be particularly slippery today where it does rain--oil and dust and water could prove a potent lubricant on the road. I expect Jim Forman of KING-5 to be out there spotlighting this road danger. 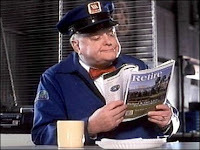 And perhaps Ron Judd of the Seattle Times.